Screen printing for fun, as a hobby or as a business is gaining in popularity. Screen printing is used to print logos, graphics or messages on all types of clothing especially T-shirts and caps. Screen printed clothing is everywhere. Some examples are T-shirts worn by employees, club members, students, sports teams, baseball caps, graphic tees and more. Screen printing on clothing is an excellent way to advertise business, school, charity, sporting events or to spread your message. If this is your first experience, you can ask the screen printing supply store for information on the process or check on line at www.mclogan.com. After you have assembled the materials, you are ready to begin. The first step of screen printing is to insert the wooden board inside the T-Shirt. The board must be appropriate to the size of the T-shirt or a little bigger insuring a smooth fit with no wrinkles. The surface has to be smooth so the ink can be applied evenly. Carefully place the shirt inside the silk screen frame and get ready to apply the ink. Turn the ink bottle upside down and using a back and forth motion, go from corner to corner squeezing out a few thin beads. Take the wiper and beginning at the top of the screen, run the wiper down to the bottom and then back to the top. The wiper is simply a wooden handle with a rubber blade attached to it allowing you to spread the ink evenly throughout the frame. Through the design in the emulsion, the ink is transferred onto the shirt. Remove the T-Shirt from the screen, and take out the wooden board. Place the shirt on a hanger to dry. Once the T-shirt has dried, take it off the hanger and lay it on a flat surface. Place a clean piece of paper over the design and iron the area for about 5 minutes to permanently set the ink. 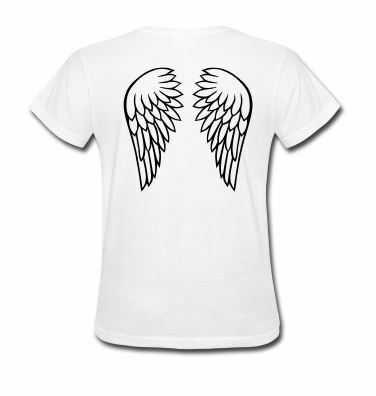 If you want to print a design on the back of the T-shirt, just repeat the process. You can create your own customized T-shirt using this screen printing method by following these simple steps. Order McLogan screen printing supplies on line at our website or stop in one of our four stores for help with your first projects. We’re glad to get you started. One of the most versatile means of printing pictures or words on any surface is screen printing. It has been used in various forms to get a message across and to see designs implemented in reality. Most surfaces can be screen printed including signs, labels, posters and clothing. With today’s technological advancements, areas that include the use of screen printing ink have developed tremendously. Solvent Ink, what is it? Basically, solvent ink is comparatively an inexpensive form of ink. The term solvent is used for inks that do not have a water base and are for ink jet printers. Where can Solvent Ink be used? The greatest application for solvent ink is in the printing of products that are used outdoors. Known for its ability to last on non absorbent materials, solvent ink is popular because it is scratch proof, water proof and fade proof, making it perfect for outdoor printing. What are the components of Solvent Ink? Solvent ink has three parts i.e. the pigment, the resin and the carrier. Solvent ink is the oil based carrier portion that maintains the liquid form of the other components and dissolves when applied to a surface. The pigments in the solvent ink produce the color. They are applied in powder form, which allows them to produce the best color. They stick to any printing material through resin, making the color stick and protect it from damage. Eco-Solvent Ink is a new form of solvent ink. Eco-Solvent Ink is a non-water based ink, made from ether extracts which are taken from refined mineral oil. 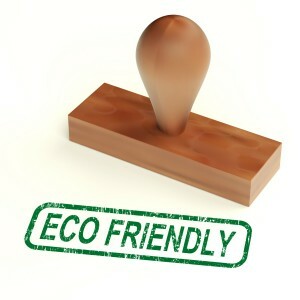 Eco-solvents are considered as mild, soft inks. A new remarkable innovation known as the Roland ECO-SOL MAX ink is an award winning eco-solvent ink known for its fast drying and higher density properties. The Roland ECO-SOL MAX ink has improved scratch resistance, wider color gamut, a broader uncoated medium support and a lower cost per square foot. The ECO-SOL MAX requires no special ventilation or environmental equipment and is practically odorless. It is the perfect screen printing ink that allows you to print pictures or words on any given surface. Aggressive Solvent Ink is another form of solvent ink. Aggressive solvent ink is known for its quick absorbing formula that allows printing on any surface and can even handle hot and humid weather conditions. It is also known as a true or hard solvent and is highly scratch resistant and weatherproof. When looking for the best inks for screen printing, it is always good to do a little research; however, the Eco-Sol Max is a great option for your screen printing project. We are happy to answer questions….just give us a shout! 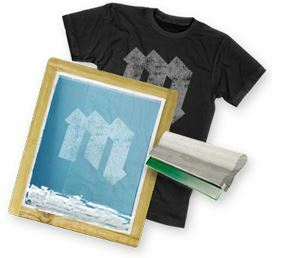 Screen Printing with foil is easy and fun! Watch this short video that talks about what inks, screen printing emulsions and equipment you need and how to create great looking tee’s using foil. Feel free to contact us if you have any questions on what supplies are best for your project. Which screen print emulsion is the right one for the type of ink you are using? This is a pretty basic topic, but many screen printers may not know that different emulsions must be used for plastisol or water-based inks. Before moving on to screen printing supplies, it is better to first understand the entire process. An emulsion is blend of two or more liquids that are usually not soluble together. They are immiscible. When water and oil are mixed together in a container, they never blend into each other and instead, separate. How are Emulsions Used in Screen Printing? Emulsion is used in the screen printing process to coat the front and back of the screen helping the image bind to the fabric. For good results, using the right kind of emulsion is extremely important. This emulsion is suitable for beginners. It is durable and thick. The color change of the emulsion indicates that the screen has been exposed. It is available in stores selling screen printing supplies and is cheaper than other emulsions. Is a high quality professional emulsion. The exposure time is more stable and quicker than diazo. Diazo can take 15 minutes or more and the time may differ depending on the level of humidity. A pure photopolymer emulsion takes just a few seconds of exposure and dries very quickly. To print on a rougher textile like denim or sports clothes, pure photopolymer emulsion is an excellent choice. 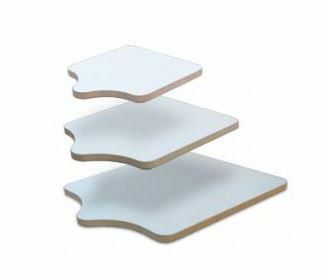 Numerous coats can quickly be applied to create a thick emulsion layer. The results are good when used with plastisol ink and is durable on T-shirt material. This emulsion is more expensive and found where screen printing supplies are sold. Screen printing supplies also include an emulsion known as dual core emulsion. This is a combination of the qualities of pure photopolymer and diazo and has a quick exposure time. After exposure, it changes color. It provides a heavy coating and holds the image. It can be used by inexperienced screen printers, but the quick exposure time makes the use of this emulsion challenging. Dual core emulsion comes in two varieties; one for plastisol inks, the other exclusively for water-based inks. For the best project results in screen printing projects, be sure to follow the manufacturer’s guidelines. This is the first in McLogan ‘s series of blogs on Screen Printing Supplies. Since venturing into screen printing as a teenager, I have had a plethora of injuries from screen printing supplies like machines, chemicals or electricity. It’s nothing short of a miracle that I came through these avoidable without permanent damage. Others may not have been so fortunate. 1. Chemical Safety Precautions — There are a variety of chemicals used in the screen printing process. Some chemicals are solvents used to clean up spills, screens and equipment. Others are mixed into the ink to increase or lessen its viscosity. Chemicals can be inhaled or absorbed through the skin so it is important to use solvents in well-vented areas only with the correct safety equipment. Masks and gloves are the simplest way to prevent injuries from solvents. I burned my skin using Xylene/MEK solvents, even using UV inks, so I can tell you it is important to use safety measures to protect eyes, skin and nose to prevent inhalation when handling chemicals. Also, the product material safety data sheet (MSDS) lists first aid measures which should be on hand in a busy screen printing shop. 2. Cleanliness and Order — Did you know that cleanliness and order is very important to the screen printing process both for safety and profitability? Besides impacting the bottom line of the project, keeping individual ink colors from being contaminated can prevent injuries. By having designated places for inks, equipment and tools to be stored, you spend less time looking for missing tools or equipment. That avoids misplaced buckets and razor blades or knives which prevents avoidable falls and cuts. 3. Equipment Safety Training — Most screen printing shops have electronic equipment like a flash-cure units, dryer or automatic printing machines. Training all staff member how to use each piece of equipment properly can by itself cut down on accidents. Very important is to be sure all machines so have safety guards or covers so that the engine parts are not exposed, which can eliminate severe shop injuries. Unfortunately, I speak from past experience having injured my foot which got stuck in the chain drive of a dryer that didn’t have a cover over the engine and had my hand smashed by an automatic machine. Both accidents were totally avoidable with training and proper covers. 4. Electrical Safety Precautions —Electricity requires extra precautions like installing a lock-out box over electrical. If repairs are required, a mechanic can shut off the electricity and lock the box. That prevents someone else from turning it on while repairs are in progress and can avoid major injuries. Most effective is to schedule repairs after hours when your crew has left. I was shocked many a time while fixing a plug or wiring on lights in my shop by someone who turned on the electricity while repairs were in progress. 5. Stay Alert and Aware —A lot of accidents happen in the workplace due to lack of alertness or common sense awareness. Help your staff combat workplace tiredness and drowsiness by ensuring they and you taking scheduled breaks. Moving, walking and taking breaks help energize the mind and body and offset lethargy and fatigue. It is very important to keep distractions to a minimum in a fast-paced environment, especially if you are working around automated equipment. The distraction can come in the form of music, cell phones, computers or interaction with other co-workers, but it makes safety sense to minimize all distractions and focus on the tasks at hand. The bottom line is use common sense to avoid shop accidents and injuries. This list is not by any means exhaustive, I hope that these safety tips will help minimize avoidable injuries at your shop. McLogan Supply carries many a full line of screen printing equipment and also has many fine screen printing supplies by International Coatings. Large format printing with digital technology is One 11 Ink’s specialty. They do eye catching vehicle and boat wrap graphics, banners of all sizes, trade show printing and even artists canvas fine art prints. Located in Valencia, California, they are known for providing excellent service, creative designs, spectacular print results and great pricing. Wraps: One 11 Ink is an experienced specialist in large vehicle and car wraps including design, printing and installation. 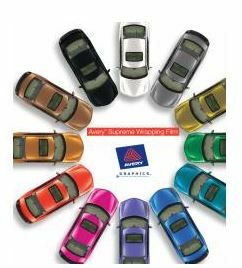 If you want more people to know about your business or just want to change the color of your car, vehicle wrapping is great way to make a splash. 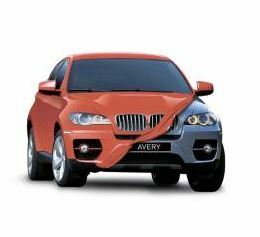 Their vinyl wraps use only quality vinyls, long-lasting inks and are laminated for added durability. Highly experienced installers insure your wrap is expertly applied whether you are wrapping one car or a fleet of vehicles. 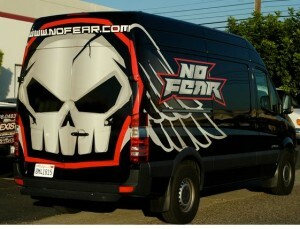 One11ink has been wrapping vehicles and boats since 2000. There isn’t anything that moves that they have not wrapped including Ferraris, Bentleys, professional race cars for high-end companies, cars, trucks, vans, SUVs, speed boats, trailers, motor homes, motorcycles, helicopters, helmets and more. Banners: For outstanding color and crispness on indoor or outdoor banner images, One 11 Ink offers the latest technology in digital printing that can be scaled to any size. Graphics: Dramatic branding for tradeshow graphics, pop-up displays and window graphics can be done from your designs or they will do them custom for you. Artist Canvas Prints: Large format print technology can now create such true color and pixel dense graphics that even fine art can be produced with the right equipment and an experienced printer. One 11 Ink has a long list of loyal customers. McLogan Supply who specializes in screen printing supplies and wide format digital printers and equipment, salutes this growing Los Angeles County based, large format printing company for their great reputation and creative designs! See their website for more information about One 11 Ink or their services. What’s so important about a squeegee? Simple…it is one of the most important tools for screen printers, yet it may be one of the least understood and underappreciated pieces of equipment in the project. 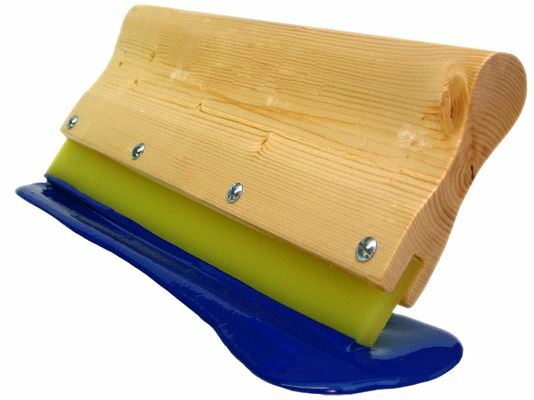 A squeegee consists of two parts: the blade and the blade holder. It may seem like a simple design or unimportant, but the blade holder comes in different shapes and materials each designed for different functions. For manual screen printing, for example, the holder essentially becomes the handle of the squeegee. It is important how the handle feels to the printer when holding the squeegee, especially after several hours of printing. Wood, aluminum or plastic are the most popular materials used for handles and each of these materials have its fans. For example, some love the organic feel of the wooden handles and the warmth of wood. Conversely, fans of plastic or aluminum like their easy-to-clean properties. Squeegees with aluminum or metal holders are generally used with automatic printing machines, where the blades can be replaced. Some handles that are designed to allow blade replacement so be sure to check how easily the replacement can be made. Some designs feature easy to undo clips while others have to be screwed in place for example. Another consideration when choosing handles is the shape. Ergonomic handles are on the market today that help combat fatigue and stress-related, repetitive injuries. Handles also come in different heights, most commonly are 4- and 5-inch widths depending on whether you have large or small hands. To take a simple tool and make it even more useful, there are squeegees with composite blades. This means two or more blades of differing durometers can be either stacked or sandwiched together. For example, a 70/90/70 composite blade is made up of a hard blade wedged between two softer ones. The idea is that the hard blade supports the squeegee, whereas the softer blades still allow for a good amount of ink to be deposited. In the end, printing preferences and job types determine whether the screen printer chooses a single or a composite blade. We suggest you try the different squeegee blades and see if the high-tech ones are better suited to your printing style. Lastly, it is important to determine the length of the squeegee needed for the screen. Many squeegees can be purchased by the inch. Be sure the screen’s width and design’s width are taken into account when choosing the right squeegee for each job. McLogan carries a complete line of International Coatings phthalate-compliant screen printing inks, including a wide variety of whites, specialty inks, inks, color, additives and reducers. Keith Stevens is the Western regional sales manager for International Coatings. He has been teaching screen printing for more than 10 years. Many thanks to IC for allowing McLogan to republish this article. If you want your screen printing project to come out with vivid, crisp colors and be durable, you need to start with high quality screen printing inks and supplies. At McLogan, we have a great selection of screen printing inks from expert suppliers that will fit the needs of any project big or small. If you know what you need you’ll find it quickly and easily, but if you don’t know what you need we can help you there too. What kind of screen printing ink is right for your project? Screen printing is an art and like any art, you have a lot of choice when it comes to your materials. The first thing to consider when picking your ink is what material you’re going to be printing on. The inks used for cloth and textiles are very different from the inks used for printing posters or other materials. Luckily, we have you covered either way. Water, Plastisols or Solvent Base Screen Printing Ink? Once you’ve figured out the proper ink for your printing substrate, you still have an important choice. Do you want a water-based like Permaset or Matsui, plastisols like Triangle Ink or International Coatings or solvent based inks like Nazdar? All have their pros and cons. Water-based inks are more environmentally friendly, but a little harder to use. Water base inks will work on lights and darks just make sure you select the correct manufacturer of ink for the job. Plastisol is a good choice for light colors as well as dark colored fabrics with base white applied. The inks longevity on the garment depends on how it is laundered (i.e. hand wash or machine wash). What effects you want to produce like texture, glitter, foil, etc. That way you can choose the ink based on what you know is most valuable consideration to your customer. Some customers will opt for eco-friendly, some for longer lasting or art qualities, while some are strictly managing the cost vs. return. After you’ve picked which base your inks will use, there are still plenty of different choices in our inventory. This is especially true for textile inks. If you need great colors even on dark fabrics, look at our high pigment inks. For something that really pops we have glitters, foils and metallics as well. Try out our starter kits to get the most bang for your buck too. All of our product pages have information including price, instructions for use and more. There’s only one thing you can do if you’re still not sure what you need, but it’s pretty easy. Do some browsing on our online store and if you’re still not sure…give us a call. One of our customer service guys or gals are happy to answer your questions. We have many high quality screen printing inks on our website. In this article, we feature one of our favorite product suppliers, International Coatings and their expertise and experience with the right product for every project. 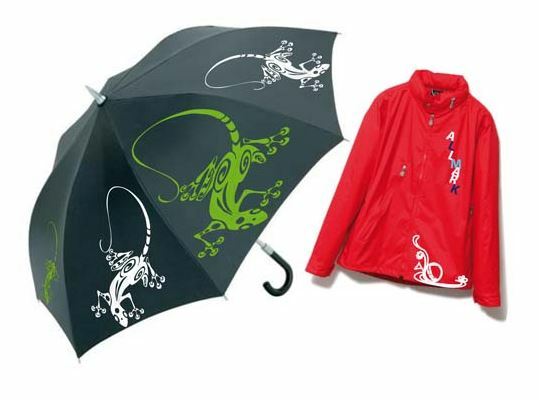 With the cooler weather upon us, we thought nylon ink for jackets, umbrellas and windbreakers would be a good topic. Let’s look at some frequent questions about printing on nylon. What we tell people is regular plastisol ink is not the right product to print on nylon jackets. Adhesion to nylon is difficult at best with regular inks. Of course there are conditions where regular plastisols might work, but most likely it would require the addition of an adhesion catalyst to the ink. International Coatings Nylon 900 series inks are specifically formulated for nylon jacket and woven materials with their excellent adhesion and are scrape resistance. Was the ink properly cured? If you did not check before you started the project, find out if the jackets or nylon materials you used were treated with a water-repellent coating. This type of coatings can prevent inks from correctly adhering to the nylon or cause it to scratch off too easily. Tip: Clean the areas of the jackets that you will be screen printing with rubbing alcohol before you print. Be sure to change the cloth you are using frequently so you don’t re-deposit the coating back onto the jacket. Sure they can sometimes, but not on most Nylon materials. They can be used on printed on cotton or cotton/poly blends without having to use a catalyst; BUT nylon inks have a tendency to have a much stiffer feel than other plastisol inks so they are not usually the best ink to use unless you are looking for that kind of finish. We do not recommend it although screen printers do it all the time. Using the same company’s ink and catalyst assures that the products are compatible with any or all other their plastisol inks. 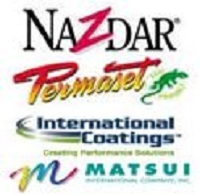 At McLogan, we sell International Coatings products with confidence. They stand behind their products, knowing that when their products are used properly, and not intermixed with other companies’ ink products, you will get superior results. If you have any questions about printing on nylon or about any of our screen printing inks, be sure to contact us or stop by any of our four locations. Join us on Facebook!